« DEF LEPPARD – Brand New Single “Let’s Go” Cracks Top 10 On U.S. Classic Rock Radio Chart And Is Streaming Now! New Album Releases October 30th! 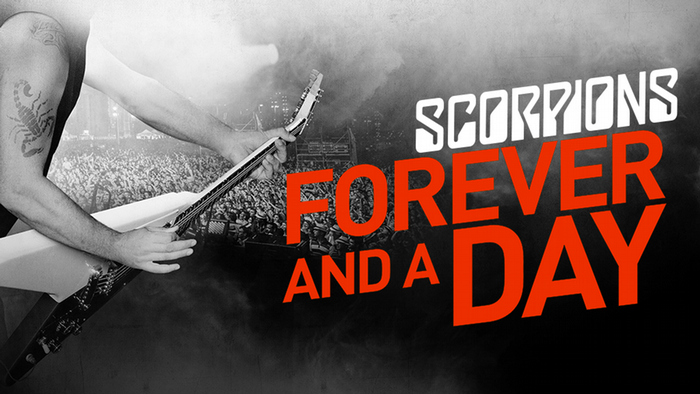 SCORPIONS Documentary Film “FOREVER AND A DAY” Hits The Big Screens In The U.S., This October 14th! The SCORPIONS continue to celebrate their 50th year in Rock with a special national screening event of their first theatrical release, the documentary film, Forever And A Day, beginning Wednesday, October 14th. Watch the trailer now here: https://youtu.be/KzTfIxUuTSA or below! Whoa! This entry was posted on September 23, 2015 at 8:01 am and is filed under classic rock, Hard Rock, Heavy Metal, Metal, Music, rock music with tags classic rock, heavy metal news, Metal News, metal odyssey, Scorpions. You can follow any responses to this entry through the RSS 2.0 feed. You can leave a response, or trackback from your own site.